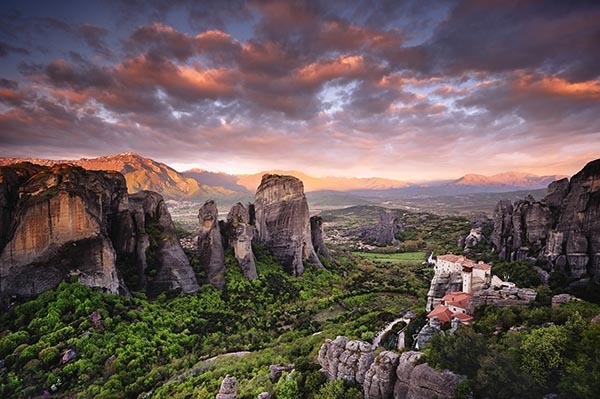 A beautiful sunrise at Meteora. Two of the famous monasteries can be seen on the right of the photo. Note: In June 2015 this photo was nominated as the winner of the Telegraph newspaper's 'Big Picture' photography competition and was published in the paper as well as on their website. Nikon were the main sponsor and the prize was a new Nikon D3300 camera!